2 Sq.m Storage unit (lockable) - available with a ground surface of 24 Sq.m only. Booth position assignments are handled ’first come, first served’ basis. If you wish to enjoy as many choices as possible, register as soon as possible! Our organization provides an intranet system allowing you to email e-invitations to your contacts, be amongst the 1st to inform them about your presence. You will receive a batch of 50 invitation cards designed to invite your prospects to your Journées des Collections showroom. 70% of our visitors are looking to discover new trends... 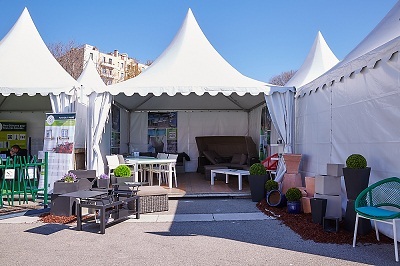 If you have innovative products, join the Prix des Collections Jardin 2018 and boost your buzz. Definitely true - A well prepared and organized stand will catch twice as much attention ... products should be easy to identify, innovations easy to understand, manage your point of sales carefully. 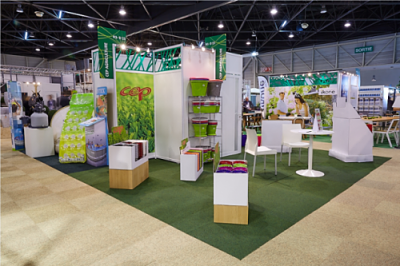 We provide a large range of marketing tools to promote your products before, during and after the fair.